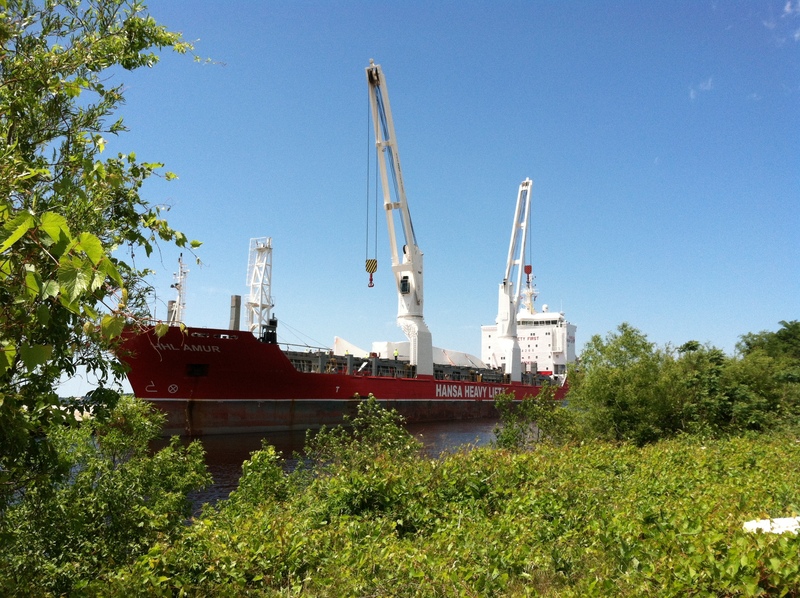 For boat nerds a Salty is a foreign cargo ship and one is making a rare appearance tomorrow June 4th, 2012 between 6am and 2pm at Muskegon’s Mart Dock. The Salty in this case is the HHL Amur, a 452-foot ocean-going cargo ship owned by Hansa Heavy Lift of Hamburg, Germany. They are picking up large turbine blades made in Holland, MI to ship them to Bilboa, Spain.